Nona Mae Tindal Dierdorf passed away June 16, 2018 at 12:55 P.M. at Gibson Family Center for Hospice Care with her husband and other family members present. Nona had been diagnosed with dementia, and was 70 years old. Nona was born March 4, 1948, the daughter of Mary Vaughn Tindal and Howard Mendel Tindal in New Castle, PA. Her family moved to Indianapolis when she was 9 years old. Nona graduated class of 1966 from Ben Davis High School where she met her future husband, Richard. 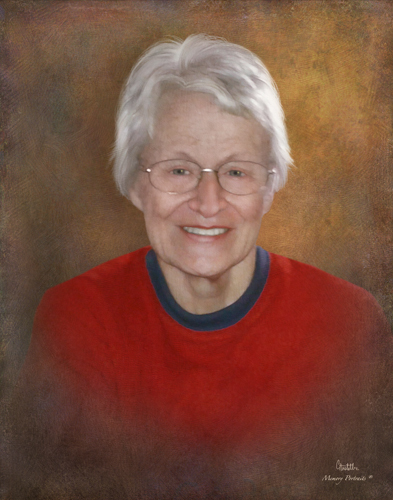 Nona earned a BSRN from Indiana University in 1970. Nona considered herself primarily a pediatric nurse. Her first professional employment was with Riley Hospital Newborn Intensive Care. Following that, Nona was employed by Marion County Public Health, Decatur Central High School, and ten years at Wishard Hospital in Indianapolis. Nona completed her professional employment delivering home respite care for families having serious mental/physical children. Nona loved volunteering her nursing skills and completed over 1000 hours of volunteer time working with the staff veterinarian at the “New Indianapolis Zoo” and was honored by the zoo for that effort. Nona also volunteered as a camp nurse with Lutheran Disability Ministries. Nona also loved music and played with the hand bell choir at Trinity Lutheran and sang with the Brazil Community Choir. She is preceded in death by her parents, grandson Samuel Kern, brother Michael Tindal, and son Scott Dierdorf. Nona is survived by her husband of over 49 years, Richard; Son, Robert Dierdorf; Daughters; Mary Kern, Kimberly Hawkins and husband Larry, daughter-in-law, Marcie Dierdorf, brother; Vaughn Tindal, nieces, nephews, grand-children and one great grand-daughter. Funeral services will be held at 12:00 Noon, Saturday June 23, 2018 at Trinity Lutheran Church (2620 Ohio Blvd., Terre Haute, Indiana) with Pastor Dana Newhouse officiating and burial to follow at St. John’s Cemetery. The family will accept friends for visitation on Thursday, at Moore Funeral Home from 4:00-7:00 P.M. and on Saturday from 10:30 A.M. until the time of service at church. Memorial contributions may be made to the Trinity Lutheran Church Organ Fund.